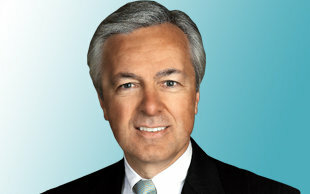 John Stumpf, chairman, president and CEO of Wells Fargo, No. 33 on The 2012DiversityInc Top 50 Companies for Diversity list, has faced his share of challenges. The company’s successful merger with Wachovia combined two large diversity leaders and is a model for other large corporate mergers. But the economic crisis of the past three years, and Wells’ involvement with the subprime crisis, has required an even deeper reliance on diversity to engage employees and reach customers. We’ve been in this business a long time. We are the nation’s largest home lender to persons of color. We do more than anyone else with low- and moderate-income customers. Our portfolio, after all of this difficult time, has performed better than any of the large underwriters. In fact, it might come as a surprise to you that 93 percent of our borrowers are current on their mortgages, 5 percent are past due and about 2 percent are in some area of foreclosure. Those numbers are better than the industry’s by 50 percent and better than some of our large bank competitors’ by maybe 100 percent. We have about 10,000 people in the mortgage company. We had others in our banking business who made loans. We did everything right. We have 280,000 members, and our culture, our vision and our values are to serve customers and to help them succeed financially. In the case of the $85-million settlement, we’re the ones who raised our hands. We told the Federal Reserve, “We found something with a few of our bankers who did not do it right.” We self-identified. We got rid of those people. Stumpf: Yes, and we agreed to a settlement. This was not systemic. It was not pervasive. It was episodic, but we feel badly about that and we’re going to make it right. We are doing lots of outreach things to help consumers stay in their homes. Since January of 2009, we have helped more than 700,000 families stay in their homes through modifications. We have given about $4 billion of principal to help families stay in their homes, and that’s more than any other company by some big distance. We’ve held 31 different home-preservation workshops. Visconti: I understand you’ve actually been notifying some of your customers that you’ve proactively lowered what they owe on their houses in order to help them stay in them. Stumpf: In fact, that was the whole deal. We said: “Dear Customer: We know you’re struggling on this. How about if we reduce the principal or reduce the interest rate or extend the term Would that help you stay in your home” Those customers will be customers for life. The primary reason we get up in the morning and go to work is not to make money. The primary reason is to serve customers; the result is you make money. We want to make sure we never get the stagecoach in front of that horse. Stumpf: It’s a really important piece. Just think about when you and I went to school. How many times were we ever taught about financial services We weren’t. Nobody ever taught us how to open a checking account. We want to help demystify a business that is very personal to people. Money is about buying homes and educating children and preparing for retirement or starting a small business. In many cases, our bankers listen to dreams. Yet there’s not much literacy around that. We partnered with the NAACP. We partnered with 100 Black Men and other organizations to help with literacy because the industry has not done as good a job as it might have, or should have, or could have. Our industry has work to do to reconnect and build trust with the American public in the small-business arena and the consumer arena. A great way to do that is to partner with this literacy issue. Stumpf: When you think about inclusiveness and diversity, any business has to connect with its customers. A third of the country is ethnically diverse. Luckily for us, a third of our team is ethnically diverse. We’re the largest employer in the United States from a banking perspective. One in 500 Americans works for Wells Fargo. It’s hard to believe. We have 280,000 people; 275,000 are here in the United States. No other bank is even close to that. We’re an American company, and America is changing, so we need to change with America. There are five basic pillars to how we think about diversity. First of all, we want a diverse representation of all levels of our company. One of the good things about us is that 35 percent or so of our workforce represents our communities. One of the not-so-good parts is it’s not at every level of the company. As you get higher in the company, the representation narrows. That’s a big focus for us. Secondly, we want an inclusive environment. We want people, when they come to work here, to have the freedom to express themselves and to share what I call plural pronouns: us, we and ours. Freely. It should be a place where they can thrive and learn and develop and build relationships. The third area is to have special programs where we really mentor and train and develop our diverse talent. Because we have underrepresentation, we have to do more work to help those folks become available so that when positions do open, they are not only in the talent pool, they are top talent in the talent pool. The fourth area that we look at is connecting our diversity initiatives to business results. It is impossible for us to be successful in the future if we don’t connect with our diverse communities. About 95 percent of all Latinos in America live in our geography. They represent a disproportionately higher number of our new customers than anyone else. The same thing for African Americans. I can go on and on. The LGBT community. These are all critical. Visconti: For me, what you just said was a grand-slam home run. So thank you, because I hear this argument from attorneys all the time. And I think it’s literally obstructionism. Stumpf: It makes no sense. If you think it’s important, you had better manage it and you had better measure it. You had better hold people accountable. Stumpf: I believe I’ve worked for three Wells Fargos. The first one was called NorWest. It was in Minneapolis. People confused us with an airline. Thirteen years ago, I started working for the second Wells Fargo. Now I’m working for the third Wells Fargo. It’s the Wells Fargo plus Wachovia. Ours is a rich history of lots of diverse and different organizations coming together. Around 250 different banking mergers make up our company. Remember, the first two letters of merger is “me.” “Me” is such an important part. So many people who do acquisitions think it’s about the management. They think it’s about size. They think it’s about [if] somehow we get bigger, then we’re going to get better. At Wells, it really comes back to where I grew up in the Midwest, and it’s all about relationships. When we announced the merger with Wachovia, the first thing I did was get on an airplane and go to Charlotte and start meeting with peopleteams of tellers, teams across the company. I went from community to community. I wanted to know how people felt. I told people that our cultures are similar. By the end of the day, we have the same common view: We want to care about each other and our customers, our communities and our shareholders. We’re going to work together. We’re going to learn from each other, and each one of you ought to know how your role fits into the greater good. That also held true for diversity. We learned some things from Wachovia and they learned some things from us. Most of the peoplein fact, virtually all the peoplewho we started with are there. That’s the key to these things: respect, understanding and appreciation of differences. I’ve had a chance to work and live in four different geographies in our franchise, from Minnesota to Colorado to Texas and now here in California. People are all the same. They want to be respected and they want to be involved. They want to be given responsibility. They want to be held accountable. They want to develop relationships. The difference is so important. Don’t be scared of the differences. I don’t like people who say, “Well, I’m color blind.” Give me a break. I’m not color blind. I’m not gender blind. I appreciate those things. That devalues the differences we have. Our differences make us strong. Diversity implicitness is a journey from the heart to the mind. Once you understand it in your heart, you can see it and believe it and advocate, and then it makes sense intellectually. Stumpf: It starts at the top. I report to our board of directors. We have 15 outside board members. Today, four of them are ethnically diverse. Now, I don’t have a quota. I look for the very best directors I can find who represent the diversity in business practice, in experience, in gender, in ethnicity and sexual orientation. I want our board to be a beacon to those 280,000 of us who follow the board’s direction to honor our vision and values. I start there. Then it’s easy for me to go back to our culture. In 1888, my grandfather, who’s now dead, was born, but it’s also the day Wells Fargo put out an instruction to the agents about inclusiveness and diversitytreating all people equally. Since that time, we’ve had vision and value statements. We’ve had lots of considerations. But with those four elements: inclusiveness, support, diversity and advocating this inclusive environment. We’re on a journey. We’re never done. But we are going to enjoy the trip as we go. In some areas, we are further behind than we need to be, and we have to get a sense of urgency. Stumpf: My direct reports are called the operating committee. The next level in the company is the management committee. There are about 85 of us in that group. We all have responsibilities to mentor a diverse team member. I’m asking the management committee in the company to make a personal commitment to get to know people in diverse communities so when they have openings in their group or they’re developing people, they have some point of reference. We have now about 20,000 people in team-member networks. We have 175 of those across the company. They’re helping us as we go through difficult times of understanding how we respond to the ethnic community. Stumpf: Dang! The LGBT community is responsible for more than $700 billion of economic business every year. I mean, you think of diverse communities. They do about $2.5 trillion of buying and selling activity in the market place. We want to serve all of our customers. We want to be the primary provider of advanced services for everybody we come in contact with. Even though people we’re all Americans, we all have different needs. We have different experiences. Some of our customers are first-generation bankers. Their parents never trusted banks. They came from countries where the banks took advantage of people and where they were excluded. How many successful people bank with their bedding Not too many. So we need to bring them in. You do that in different ways. I’ve never heard that. People tell me, very simply, “Know me, understand me, help me and reward me.” Make it very personal. We want our customer to think “I’m their only customer.” We do 10,000 customer interactions a minute in this company. We have more than five billion customer interactions a year. These are massive numbers. We can’t afford to be right 99.9 percent of the time. We’ve got to be right all the time. We’ve got to make it very, very individual. Stumpf: If not me, who If this is so important, why delegate it I think my primary job here is to be the keeper and the advocate of the culture. There are 280,000 of us who go to work every morning. We get up, take a showerwell, hopefully take a showerand go to work How do we know how our role makes a difference that day We don’t walk around with manuals and policies and books. We know what to do because of our culture. Culture is so undervalued in business today. The two big things are culture and recognition. Culture is the bond that makes us different from other companies. Customers know culture. You walk into some place and sometimes you think, “What an awful place.” The person behind the counter doesn’t like what they’re doing. You can’t wait to get out of there. Then you walk into another store and people are having fun and they’re engaged and they look you in the eye. You say, “Man! I want to be here.” Happy customers are a result of happy team members. So that’s why I think culture and diversity effort are at the core of our culture. Inclusiveness. Respect. Trust. A shoulder to lean on once in a while. Everybody moving in the same direction. These are powerful concepts that are hugely undervalued in business. Stumpf: I’m one of 11 children on our family farm. I grew up in a small town in central Minnesota. We were all white. We all were the same religion. We were all from the same ethnic background. I didn’t meet a non-German Catholic until I went to college. That was a big deal. I then had a chance to move our family to San Antonio, Texas, which we just loved. In San Antonio, about two-thirds of the population was Latino. I learned what it was like not to have the unearned advantage of the majority. The schools we went to were largely Latino. It was a powerful example for our family to learn another culture. If you go full-circle back to my hometown today, it has changed, and it’s largely because of the wonderful brothers and sisters I have. Today, I have 33 nieces and nephews on my side of the family. And of those 33, 11 are adopted. Five are African American and three are Latino. I’ve had the personal experience to have teaching moments. But teaching moments are so much more powerful if they’re preceded by understanding months and trying years. These children have opened the eyes of our family and have enriched our experiences and have helped us become a better family. If it could do that for a large family in a small community, think what it can do for corporations.